Welcome to Dr. Wissmeier Consulting, Strategy & Marketing Consulting, Munich/Germany ! 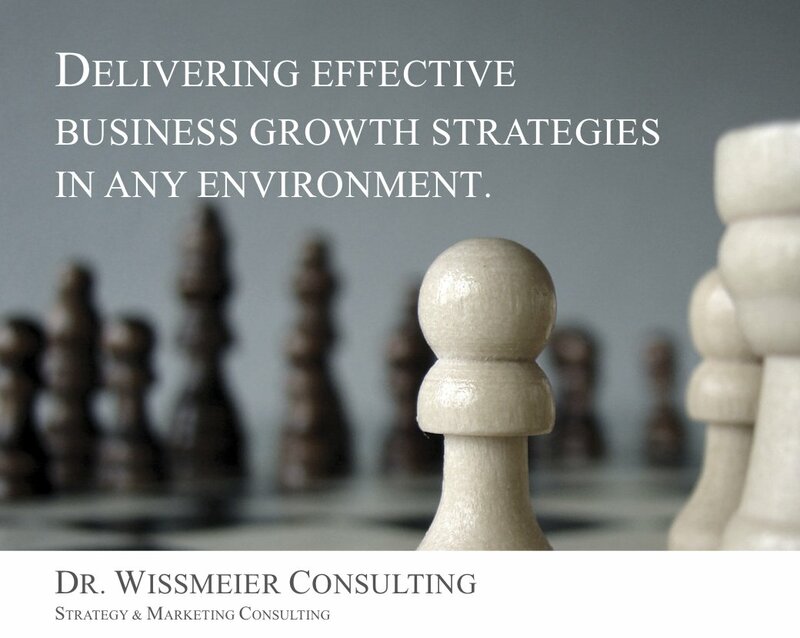 Dr. Wissmeier Consulting is specialised on strategy and marketing consulting. Dr. Wissmeier Consulting also provides business development and marketing ressources to companies intending to enter European and German markets. Dr. Wissmeier Consulting offers more than fifteen years of experience in strategy, marketing, market research accompanied by internet and new media competence. The basis of our work are valuable analyses, systematic decision making and thinking on a global scale. We are a fair partner to our clients offering high professionality in our work. At the same time we evaluate highly positive team work with the clients in our projects. Strategy and Marketing are the success factors in highly competitive markets. Good products or services no longer are sufficient for market success. In today’s competitive environment strategy and marketing are key factors for the long-term success. Many studies have shown that it is the market- and customer-oriented companies that win against competition and have become market leaders. A success factor is the intensive marketing communication/advertising and the usage of all modern communication channels (cross-media campaigns), including social media. We help our clients make good decisions in these fields and to create competitive advantages and expand. The integration of the internet with its many possibilities including multi-channel and mobile marketing continues to offer great potential for success. The intelligent usage of the internet contributes significantly to the long-term success in competition. In our projects, these topics are always taken into consideration in the context of the particular task. Our work on projects is of the highest quality, fast and reliable and always based on individual approaches. 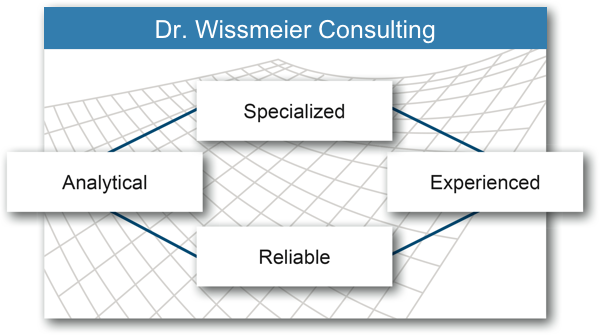 Dr. Wissmeier consulting offers services of the highest quality that are created individually, fast and reliably. Our mission is to be the partner of our clients in the projects. A partner who is fair, open minded and reliable. We do not hesitate to discuss unpleasant facts with our clients that help them to make better decisions.